What a wonderful day to celebrate The Novalis Ubuntu Institute’s 33rd Birthday! Thursday the 21st of September 2017 saw Novalis Ubuntu playing host to approximately thirty interested and like-spirited individuals coming together with the common goal of visioning and planning the relaunching of the Novalis Ubuntu Centre! Spear-headed by Anne-Lise Bure with Cindy Holmes as collaborative partner and a few others, beautifully guided by Gill Cromhout from BreakingGround, this was going to be a fantastic day filled with inspirational upliftment and consciousness raising! Novalis Ubuntu had been through a tough patch over the past year, it was time to reinvent and recreate a new vision for the Centre filled with unlimited potential and possibility. The building can transform and become a busy hub once more as we initiate the third phase of Novalis Ubuntu with this dedicated collective interest group. 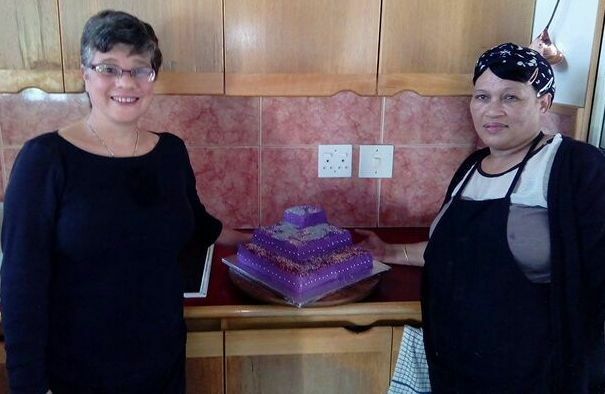 It was a meeting of the minds, hearts and souls of many prominent people in Cape Town’s interfaith, multi-ethnic and multi-cultural community. Many people bringing multiple intelligences to the party in order to brainstorm and workshop around this new beginning for an NPO that thrives on community development, spiritual nourishment, societal upliftment, personal development, educational courses/ support and social entrepeneurship. Moments of reflection and realisation were coupled with the flow of Universal consciousness and unity in diversity as the perceptions of societal ideology were overcome in order for new and higher levels of thoughts and ideas to be reached! Multiple facets, dimensions and approaches to brainstorming and cross-pollination of ideas were explored as people swopping chairs at various tables during the workshop resulted in an ever more richer and deeper level of insight and projection/ imagination of a collaborative future reality for Novalis! Ideas were then presented and fleshed out some more and themes were categorised into practical, spiritual, experiential and existential ideological frameworks through which the participants sought out to provide not only a vision of the future NPO but also practical and realistic next steps in order to achieve said projected outcomes, goals and visions. Marketing, the centre, community development, educational courses, inter-generational dialogue, media, diversity, African collective consciousness, spiritual authenticity, awareness, identities and Ubuntu Ambassadors were just some of the themes that were explored and discussed. 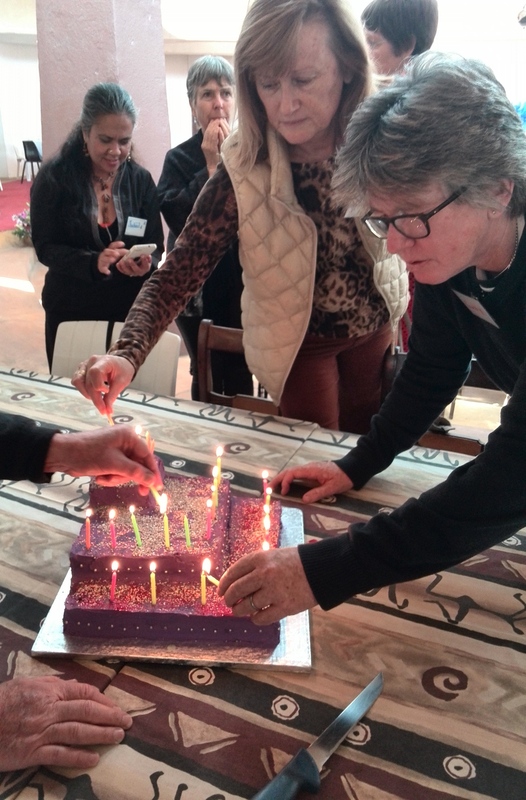 We took time to celebrate The Novalis Ubuntu Institute’s 33rd birthday by singing “Happy Birthday!” around a three-tiered cake with purple icing and 33 candles on it! Anne-Lise cut the cake that Hazel had prepared so nicely and we shared it for dessert after a delicious and nutritious meal prepared by Marie. Riedwaan was also helping out in the kitchen and everyone worked well to make the day a success! Surely the flow of ideas and inspiration of a wonderful brainstorming workshop will continue to allow for a community consciousness approach to the reinvention and celebration of The Novalis Ubuntu Institute. We could feel the vibration of this new co-created reality. A big and heart felt thank you must be given to all who were present and participated on the day. You have all helped to make this NPO as much of a genuine success as it is and will continue to be well into the future and beyond. Happy Birthday Novalis Ubuntu!